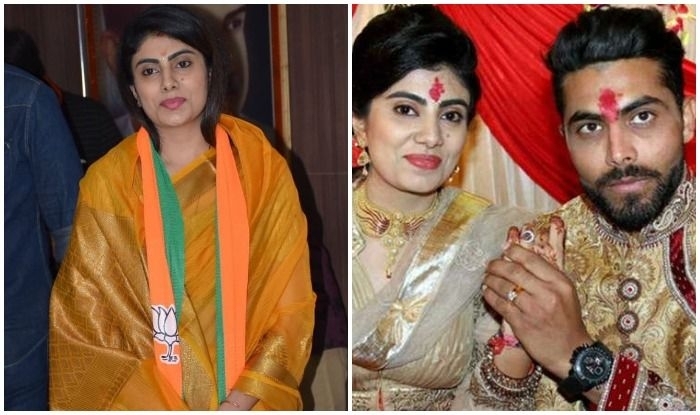 Cricketer Ravindra Jadeja’s wife Rivaba Jadeja formally joined the BJP in Jamnagar on Sunday. Her move comes around five months after she was appointed chief of women’s wing of Karni Sena, a right-wing organisation of Kashtriya community and less than a year after she was involved in a tussle with a police constable in Jamnagar. Rivaba formally became a member of the saffron party at a small media event at BJP office in Jamnagar. She was welcomed to the party fold by Agriculture, Farmers’ Welfare and Cooperation Minister Rancho Faldu and Jamanar MP Poonam Maadam.